I am sorry, but those of you who said to give Trump a chance are wrong. As a conservationist, it breaks my heart to see what his administration has done, but more so, what they are about to do. When Trump arrived in office, within weeks he had pulled out of the Paris Climate Accord. He and his henchman (Pruit et al) started gutting the EPA. Next he removes “National Monument” Status of iconic wilderness sights. And still Trump supporters kept saying give him a chance. He removes the ban on ivory importation. He makes the killing of hibernating bears legal. He’s building a stupid wall with the carbon footprint bigger than entire nations. Can the 40% of Americans that STILL support Trump please tell me a single good environmental decision he has made? Just ONE? But the worst is about to happen. Trump and the L***-D*** GOP are rolling back the Endangered Species Act. This single piece of legislation, enacted some 45 years ago, has done more to protect animals in America than nearly everything else combined. Just by way of a single example, a significant area of Pacific North West forest was saved from logging due to the little “spotted owl”. Logging never happened in this old-growth area, and in saving the owl, the US also kept a massive area of land intact, supporting thousands of other species. 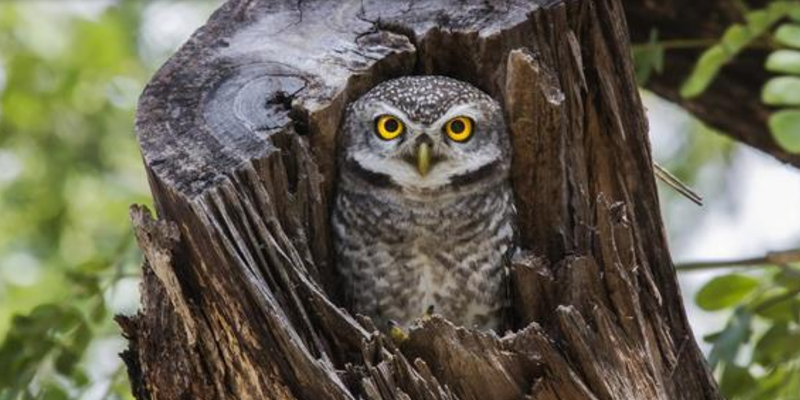 The owl, and the Endangered Species Act, was what made it happen. Trump’s argument is that this was a bad move economically – The protection of the owl meant the US never harvested a forest, the logs were never exported to China, and the trade deficit didn’t go through a fractional improvement. But if you continue down this road of endless exploitation, we destine ourselves to a future devoid of wildlife, aside from a few national parks choking with people, and the few species that managed to survive man’s economic onslaught. The US is selling its soul with all these roll-backs and changes. Most Americans have no idea how bad their country is in this regard. Their wilderness areas, for the most part, are anything but. Wildlife suffers hugely from habitat loss, invasive species (many brought in as pets), spreading of new diseases (man and his animals often the principal vector), pollution, water degradation, climate change, the hunting of mega-fauna… There is a long, long list of threats to US wildlife, the bulk of them emanating back to man and his activities. Over the last ten years, my team and I have been lucky to to work in many of the world’s most iconic wilderness areas. We’ve been assisting these countries with stopping wildlife smuggling, poaching, illegal logging and illegal mining. These countries, despite their poverty, are genuinely making efforts to preserve their wildlife, their jungles, and their waterways. Having witnessed this first hand, it is particularly galling to see Trump now using economic reasons to justify rolling back of the Endangered Species Act. If the US, with all its wealth and power, is unable to justify protecting its animals, how can we ever expect poor countries to front up and do so?